It was just over five years ago when Prust, then with the Calgary Flames, the team that selected him 70th overall in the 2004 NHL Entry Draft, made his big-league debut, facing off against the Detroit Red Wings. Prust certainly made his presence known. Detroit players definitely knew Prust well after he skated in his first shift. Not much has changed for Prust, with the exception of the jerseys he has worn since then. These days, the forward, who was traded to the Phoenix Coyotes as part of a package of players and draft picks that saw the Flames acquire Olli Jokinen (in an interesting twist Prust was sent back to Calgary in exchange for Jim Vandermeer in the summer of 2009), is playing the same brand of hockey with the New York Rangers. 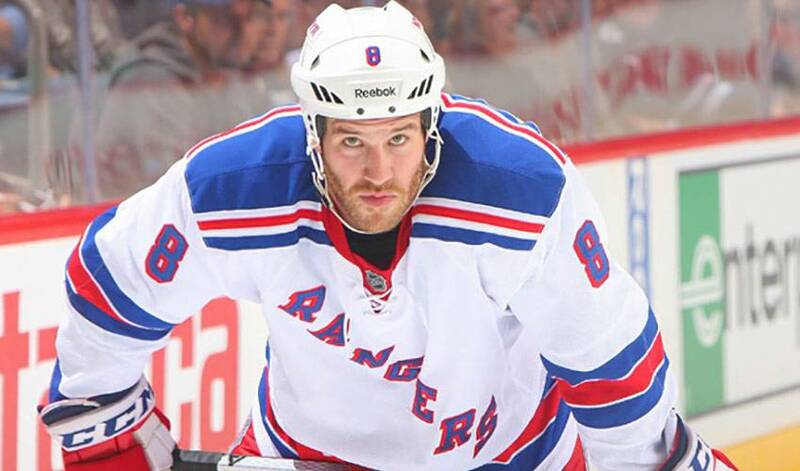 Prust, who was traded with Jokinen to the New York Rangers in exchange for Ales Kotalik and Christopher Higgins on February 2, 2010, has become a revered teammate and fan favourite for his aggressive, physical style. But, as he proved last season, he can also contribute offensively, scoring 13 goals and finishing the campaign with 29 points, appearing in all 82 games. Heading into 2011-12, he had skated in 197 regular season games, but only five playoff games. Prust is hoping to see that number rise. Do the Rangers have what it takes to contest for the Stanley Cup? Prust is grateful it's worked out well for him. And now, the man who once used to love playing goaltender during road hockey games (his favourite Christmas gift was a pair of road hockey pads), is hoping to find team success on Broadway. Brandon Prust has managed to do that right from the moment he took his very first shift.